“A Song of Ice and Fire” by George r. r. Martin, a famous American science fiction and fantasy novelist, was published in early 1996. With its unique structure, vast vision, well-arranged plots and vivid language, A Song of Ice and Fire quickly conquered the European and American literary circles. The work mainly describes a series of interrelated stories of court struggles, battles, adventures and magical rivalries in a fictional medieval continent. In 2011, “A Song of Ice and Fire” was adapted into the TV series “Game of thrones” by American HBO TV network, and Loved by audiences all over the world. In the song of ice and fire, there are many nobles. 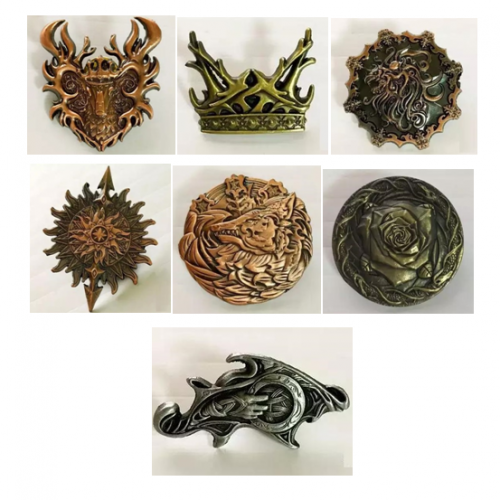 Let’s take a look at the heraldry of power of seven families and the insignia crafts derived from the drama. The Lannister Family from Casterly Rock in The Westernlands, near the southern edge of The mainland. 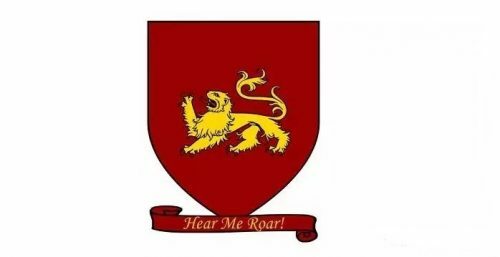 The heraldry was set in red with a golden roaring lion, and the family motto “Hear me roar “. 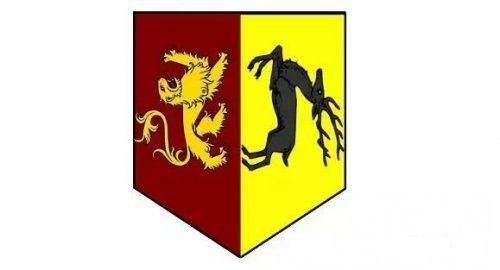 As follows, The Baratheon Family and The Lannister Family intermarried. Crown prince Joffrey I’s heraldry is their combination. The Stark Family comes from Winterfell, a city in The northern kingdom of The continent. 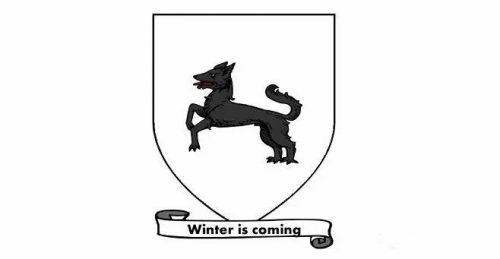 And its coat of arms is a gray direwolf on a silver background, the family motto “Winter is coming”. The Arryn Family is from The Eyrie of Vale in The south of the mainland. 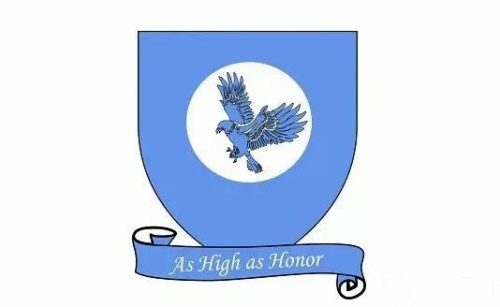 The heraldry was set in blue with an eagle and moon, and the family motto “As high As honor”. 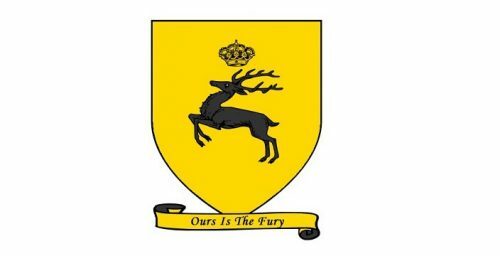 The Tully Family comes from Riverrun, the Riverlands in the middle of the southern border of the mainland. The heraldry was set in red and blue ripples with fish, and the family motto “Family, duty, honor”. The Tyrell Family comes from the Highgarden of the Reach in The southwest of the southern part of the mainland. 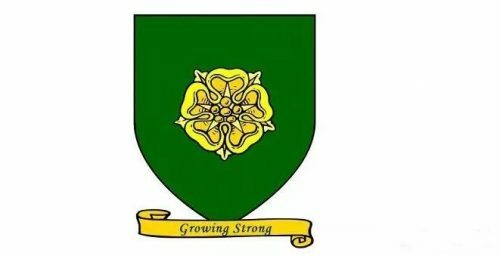 The heraldry is the golden rose on the green background, and The Family motto “Growing strong”. Then your eyes will be tested. 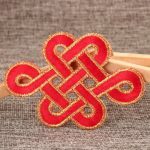 Which family does these lapel pins belong to? If you want to know the answer, please leave a message or move to GS-JJ.COM. 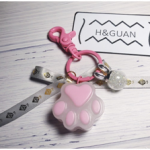 ← Do You Know About Chinese New Year?